Healthy Meals for Better Learning! Providing fresh, local foods starts right in our backyard — literally! We are proud of the productive gardens we maintain in our school district. They help feed our students while growing their knowledge of local agriculture. Garden-based education is designed to boost physical activity, increase healthy lifestyle choices, and teach basic cooking and gardening skills. 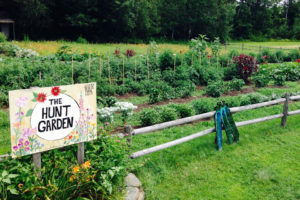 All Burlington’s district schools have active gardens, which range in size from five raised beds at the smallest campus, to the half-acre Hunt Middle School farm. They provide a window into the farm-to-school experience for our students. Built in 2010, the Hunt Garden is a farm that boasts a wash station, cob oven, raspberry patch, and grape arbor. 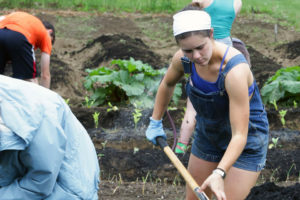 The entire school — 400 students in grades 6-8 — participates in garden maintenance, from the first planting in April through the final harvest in late October. The Youth Farm has been incredibly successful at increasing student acceptance of new foods, and the farm is connected to all subject areas. 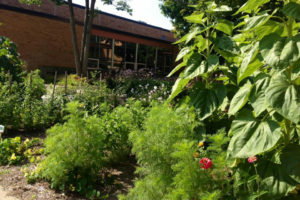 Burlington High School’s grounds are dotted with well-maintained gardens. Students take part in beekeeping, greenhouse work, and sugaring through a Food Science and Urban Agriculture course, which we co-developed. During the summer of 2012, we created an orchard at CP Smith Elementary School, with 12 fruit trees, hundreds of raspberry bushes, blueberries, and perennial flowers. A walking/running track is built around the orchard, further cementing the relationship between healthy eating and exercise. 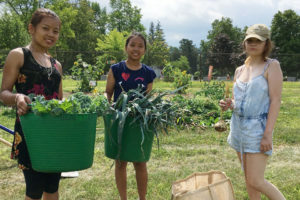 Burlington School Food Project epitomizes the sentiment that “it takes a community.” Many of the school garden projects and events are possible thanks to community volunteers. 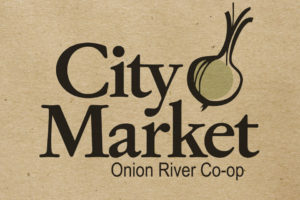 Members of City Market/Onion River Co-op receive a 7% discount for two hours of volunteer time and a 12% discount for four hours of volunteer time. 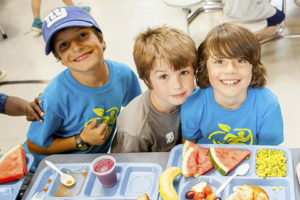 The Burlington School Food Project is a Farm to School program that connects students and their families with whole, fresh, and local foods to improve student learning and the health of our community. 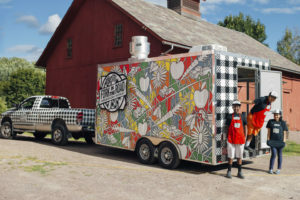 Our flagship educational program, Fork in the Road, is a student-run food truck serving up local foods and life-changing experiences during the summer. We work closely with community organizations that share our passion for local food and universal meal access.